One-band vamp with web bow. 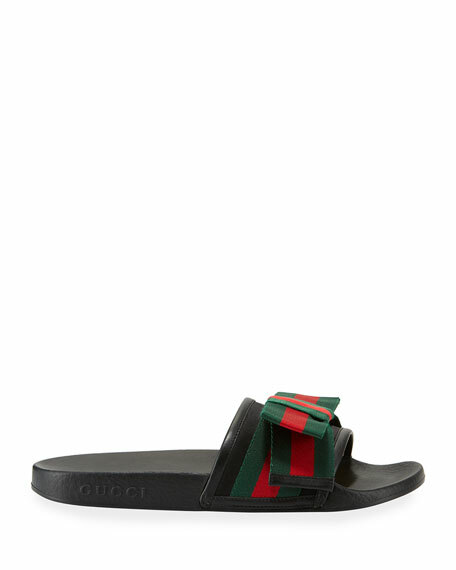 Gucci suede mule sandal. 2.8" covered block heel. Kiltie vamp with GG buckle. Smooth outsole. Slide-on style. Made in Italy. 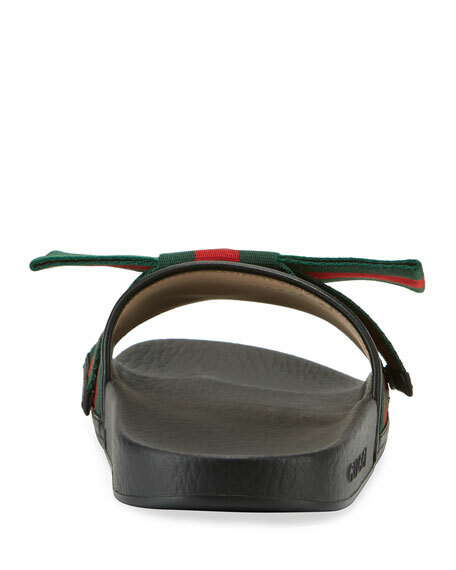 Gucci mule slipper in metallic leather. Sylvie Web bow across vamp. Blue and red torchon piping. Flat heel. Rounded apron toe. Rubber sole. 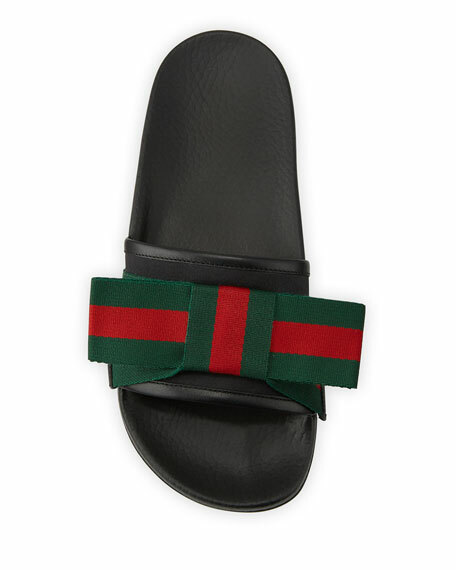 Elastic slingback strap. Made in Italy.